After successful years of tourist flights over Africa’s famous Serengeti National Park, the exciting balloon safari excursions have been extended to Ruaha National Park in Southern Tanzania. Serengeti Balloon Safaris had introduced the hot-air balloon flights in Ruaha National Park, now counted among the biggest wildlife protected park in Africa. 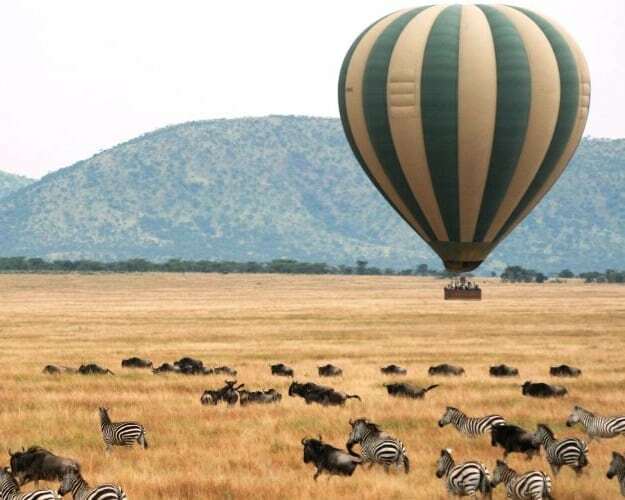 The new type of hot air tourist safaris were introduced in Tanzania in 1989 with its early morning flights over the plains of the Serengeti National Park in northern Tanzania. Flights started in the central Serengeti plains in 1989 and have flown over 250,000 enthralled safari-goers, including most of Tanzania’s celebrity visitors and royalty, after its first flight, reports from the Serengeti Balloon Safaris said. John Corse, the Managing Director of Serengeti Balloon Safaris told eTurboNews that that the balloon safaris entered Ruaha National Park last month. 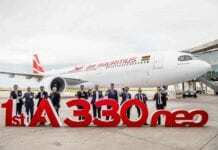 “We recently conducted test flights in Ruaha and they were an unmitigated success, very different flying conditions to Serengeti, fantastic game and gorgeous scenery,” Corse said. Ruaha is the wildest park in Tanzania with its wide area remained untouched by human being and the wildest park in Tanzania with its wide area remained untouched by human hands, other than wild animals which have been given natural rights to occupy this famous park in Africa. The wildlife is abundant in Ruaha and the scenery is spectacular. The park is such an exciting attraction, not only to the Tanzanian residents, but foreign visitors, whose experience in Africa is an essential part of their lives in the developed world. Ruaha National Park has been combined with Usangu Game Reserve to increase its size by over 22,000 square kilometers, making it the largest National Park in Africa. It is located some 120 kilometers from Iringa town, and it takes two hours to drive through the rough road to the park, or eight hours drive from Tanzania’s commercial capital city of Dar es Salaam. Ruaha National Park boasts of big herds of elephants, the largest population of any East African national park. It protects a vast tract of the rugged semi-arid bush country that characterizes central Tanzania. Its lifeblood is the Great Ruaha River which courses along the Eastern boundary of the park. A fine network of game-viewing roads follows the Great Ruaha River and its seasonal tributaries, where, during the dry season, impala, waterbuck and other antelopes risk their life from hungry, ferocious crocodile just for a sip of life sustaining water. The risk of the undulates lives is considerable, with 20-plus pride of lions lording over the savannah, the cheetahs that stalk the open grassland, and the leopards that lurk in tangled riverside thickets. Ruaha is also home to over 450 bird species. The Usangu Game Reserve covers the Ihefu Wetland which is the natural water reservoir for the Great Ruaha River that snakes northwards to form the famous Rufiji River. Watching a charging elephant bull, seeing mating lions or a herd of browsing zebras is an exciting experience in Ruaha National Park, counted the most remote wildlife sanctuary in East Africa. Made up of the Great Ruaha River, the park boasts of great wildlife concentration in Tanzania where the wildest creatures could be found in abundance. Occupied with deep pools and swirling waters of the Ruaha River, the park offers best wildlife excursion in Southern Tanzania’s tourist circuit after Serengeti in northern Tanzania. The Ruaha River is the most attractive natural feature in the park. It support life to high number of hippos schools and crocodiles which cal all be encountered during a boat riding safari. Terrestrial animals can easily been seen quenching their thirst on the river banks while others just go to the river to wallow and play on its banks. The park can be reached easily by air and road from Mbeya and Iringa airports. Even more adventurous are the trekking safaris which last for several days. A small group of trekkers start from the base camp with guides and game scouts. In the evening they set up their tents at a scenic spot and move on the following morning. Unlike the northern parks, mass tourism is not observed in Ruaha, and ecologically friendly camps and lodges correlating to nature are the prominent tourist accommodation facilities there. Tourists who come to the park to view wildlife can enjoy a unique and unspoiled wilderness. Balloon safaris in the park would be the other exciting service that has been introduced in this park to add its prominence among African wildlife parks. The daily, early morning exciting balloon safaris flight takes up to 12 passengers, said Corse. Encouraged by the healthy growth in arrivals from India, Indonesia has mounted a campaign to do even better. Everybody in this world is craving for happiness and peace but out of reach. Layers of life journey take people to unexpected different world. In pursuit of truth, people choose to experience yoga-meditation classes as this the royal road to spirituality. Disconnection with the Almighty Creator, living against the law of nature and unknown about the self are the main cause of all the sufferings.